Turn Up Your Speakers And Listen To This MONSTROUS Aston Martin Vulcan V12 Engine Sound! The Aston Martin Vulcan is one of the fiercest vehicles on the market currently and with it’s style and power their are few cars that match it. Equipped with a massive 7.0 L V12 engine that produces an INSANE 811HP that numbs the ears of anyone close enough to witness it. 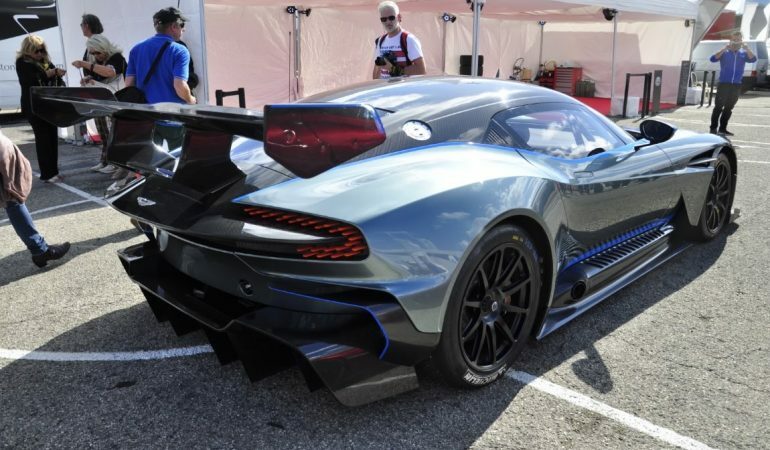 In this video we get a look at a Vulcan taking the Misano World Circuit by storm. We get the pleasure of hearing the monstrous exhaust tune while the classic Aston martin shows off what ti does best! Click below to check it out!